The work shows the process of coffee making with expresso coffee pots, starting at the instant they are put on the hot plate or gas flame, and lasting until the coffee is ready and the pots are removed. The process of each making took different lengths of time, but all six resulting videos were compressed or expanded to 4 minutes. This means that the sound the pots give out when finished are of different lengths and pitch, and end in a dramatic harmony of sound and steam. 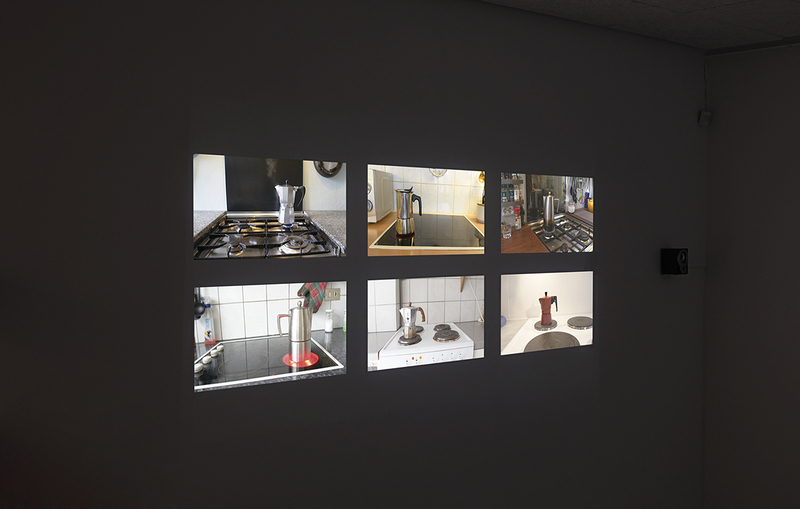 The 6 videos that are combined in one were recorded in various kitchens in Denmark and Iceland.